NASA scientists have released new global maps of Earth at night, providing the clearest-yet views of the patterns of human settlements across our planet. 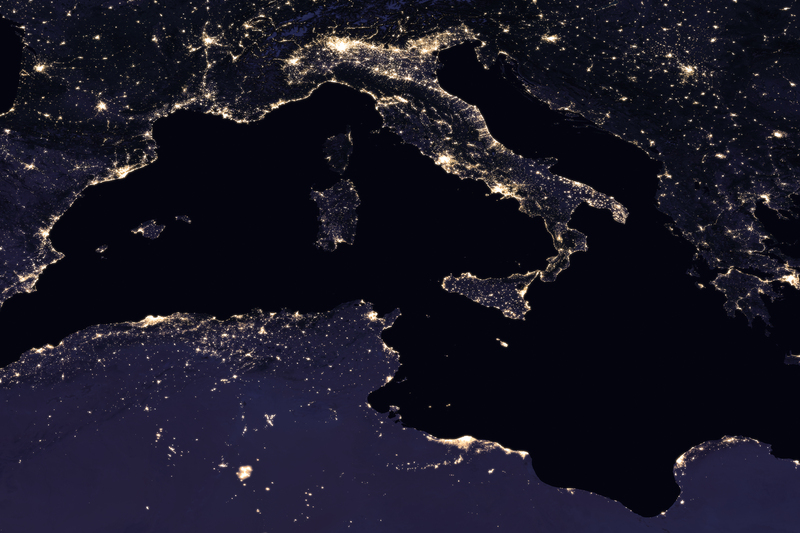 Satellite images of Earth at night—often referred to as “night lights”—have been a curiosity for the public and a tool of fundamental research for at least 25 years. 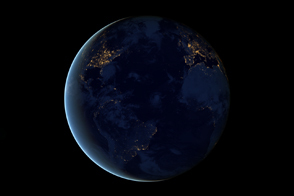 They have provided a broad, beautiful picture, showing how humans have shaped the planet and lit up the darkness. Produced every decade or so, such maps have spawned hundreds of pop-culture uses and dozens of economic, social science, and environmental research projects. But what would happen if scientists removed the moonlight, fires, and other natural sources of light and updated such nighttime images yearly, monthly, or even daily? 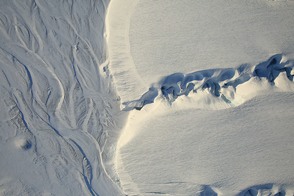 A research team led by NASA Earth scientist Miguel Román plans to find out this year. Since the 2011 launch of the NASA-NOAA Suomi National Polar-orbiting Partnership (Suomi-NPP) satellite and the 2012 release of Earth at night maps, Román and colleagues at NASA’s Goddard Space Flight Center have been analyzing night lights data and developing new software and algorithms to make those data clearer, more accurate, and more readily available. 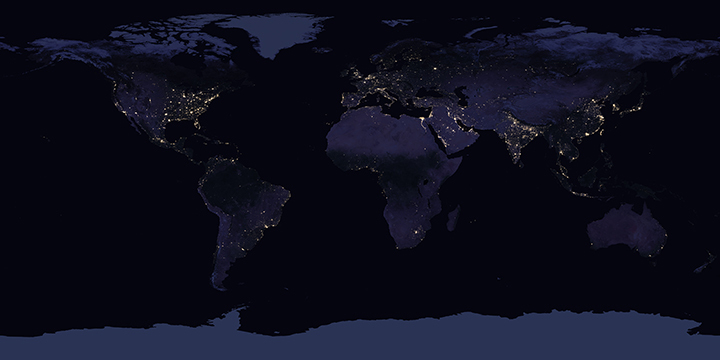 A research team in the Earth Observing Satellite Data and Information System (EOSDIS) also has been working to integrate nighttime data into NASA’s Global Imagery Browse Services (GIBS) and Worldview mapping tools. Freely available to the science community and public via the Web, GIBS and Worldview allow users to see natural- and false-color images of Earth within hours of satellite acquisition. 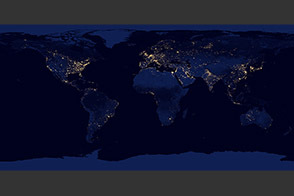 The images on this page show Earth’s night lights as observed in 2016; they are drawn from a new global composite map (below) that was just added to Worldview and GIBS. The compositing technique selected the best cloud-free nights in each month over each land mass. 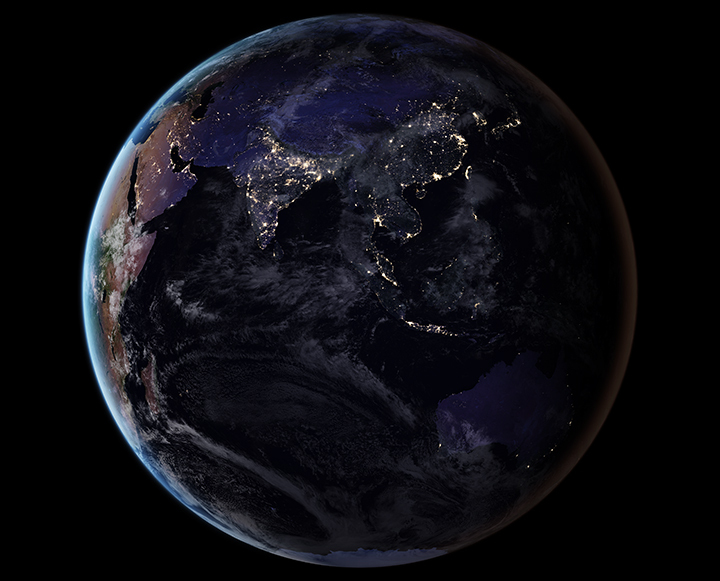 (Note that clouds and sunlight are added to some images on this page for aesthetic effect; those data are drawn from our Blue Marble products.) The team has also reprocessed 2012 data with the new techniques so that researchers can compare and contrast light sources over the years. By late 2017, Román and colleagues hope to provide daily high-definition views of Earth at night. To make the new maps, Román and colleagues examined the different ways that light is radiated, scattered, and reflected by land, atmospheric, and ocean surfaces. The principal challenge in nighttime satellite imaging is accounting for the phases of the Moon, which constantly vary the amount of light shining on Earth, though in predictable ways. Likewise, seasonal vegetation, clouds, aerosols, snow and ice cover, and even faint atmospheric emissions (such as airglow and auroras) change the way light appears in different parts of the world. Román and colleagues have been building remote sensing techniques to filter out these sources of extraneous light, gathering a better and more consistent signal of how human-driven patterns and processes are changing. 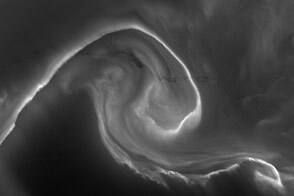 The improved processing moves Suomi NPP closer to its full potential of observing dim light down to the scale of an isolated highway lamp or a fishing boat. Suomi NPP observes nearly every location on Earth at roughly 1:30 p.m. and 1:30 a.m. (local time) each day, as it images the planet in vertical 3000-kilometer (2,000-mile) strips from pole to pole. The satellite’s workhorse instrument is the Visible Infrared Imaging Radiometer Suite (VIIRS), which detects photons of light reflected from Earth’s surface and atmosphere in 22 different wavelengths. 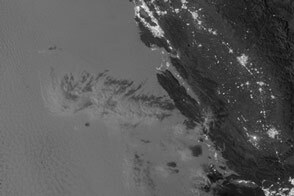 Because Suomi NPP is a civilian science satellite, those data are freely available to scientists within minutes to hours of acquisition. 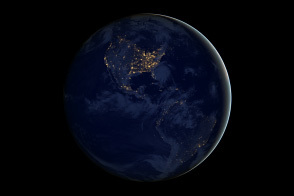 VIIRS includes a special “day/night band,” a low-light sensor that can distinguish night lights with six times better spatial resolution and 250 times better resolution of lighting levels (dynamic range) than the older Operational Line Scan (OLS) imaging systems on Defense Meteorological Satellite Program (DMSP) spacecraft. 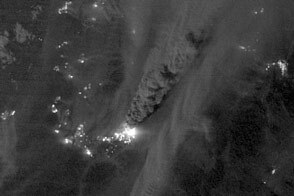 VIIRS makes quantitative measurements of light emissions and reflections, which allows researchers to distinguish the intensity, types, and the sources of night lights and observe how they change over several years. 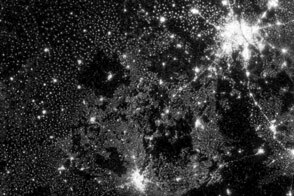 Armed with more accurate nighttime environmental products, the NASA team is now automating the processing so that users will be able to view nighttime imagery within hours of acquisition. This has the potential to aid disaster response. For instance, VIIRS detected power outages in the wake of Hurricane Matthew, a major storm that struck the northeastern Caribbean and the southeastern United States in September 2016. NASA’s Disasters Response team provided those data to colleagues at the Federal Emergency Management Agency; in the future, NASA, FEMA, and the Department of Energy hope to regularly produce power outage maps and integrate the information into recovery efforts by first responders. The NASA team envisions many other potential uses by research, meteorological, and civic groups. For instance, daily nighttime imagery could be used to help monitor unregulated or unreported fishing. 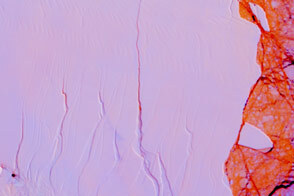 It could also contribute to efforts to track sea ice movements and concentrations. Researchers in Puerto Rico are working with nighttime data to reduce light pollution and help protect tropical forests and coastal areas with fragile ecosystems. 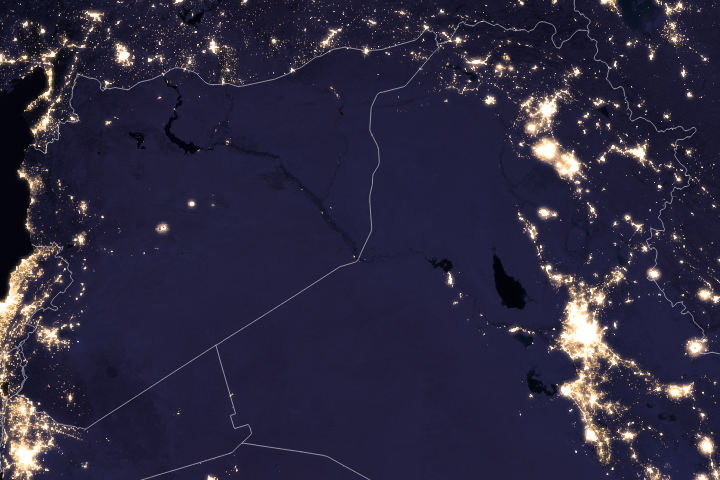 And a team at the United Nations has already used preliminary versions of Román’s night lights data to monitor the effects of war on electric power and the movement of displaced populations in war-torn Syria. In a separate, long-term project, Román is working with colleagues from around the world to improve global and regional estimates of carbon dioxide emissions. 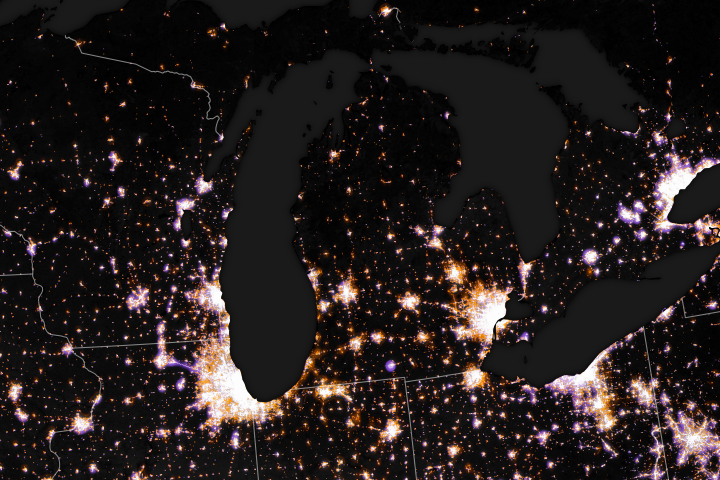 The team at NASA’s Global Modeling and Assimilation Office is combining night lights, urban land use data, and statistical and model projections of anthropogenic emissions in ways that should make estimates of sources much more precise. 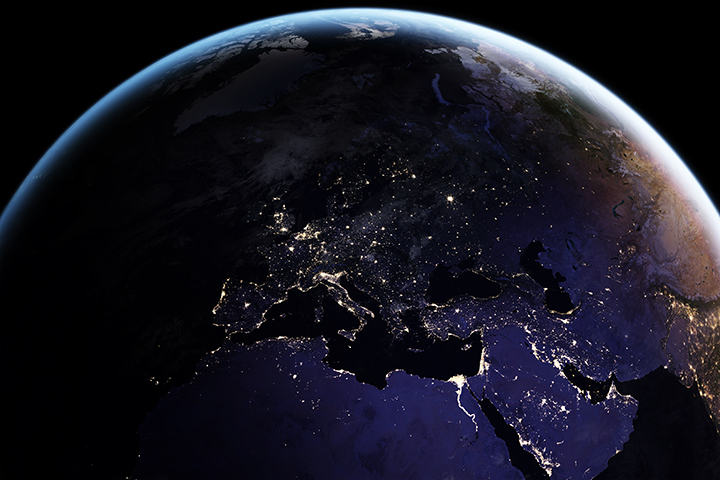 To view and download the new images, and to read stories of night light science, visit our Earth at Night page. NASA Earth Observatory images by Joshua Stevens, using Suomi NPP VIIRS data from Miguel Román, NASA GSFC. Story by Michael Carlowicz. By removing natural and stray light sources, researchers are providing a clearer picture of the human footprint on Earth. 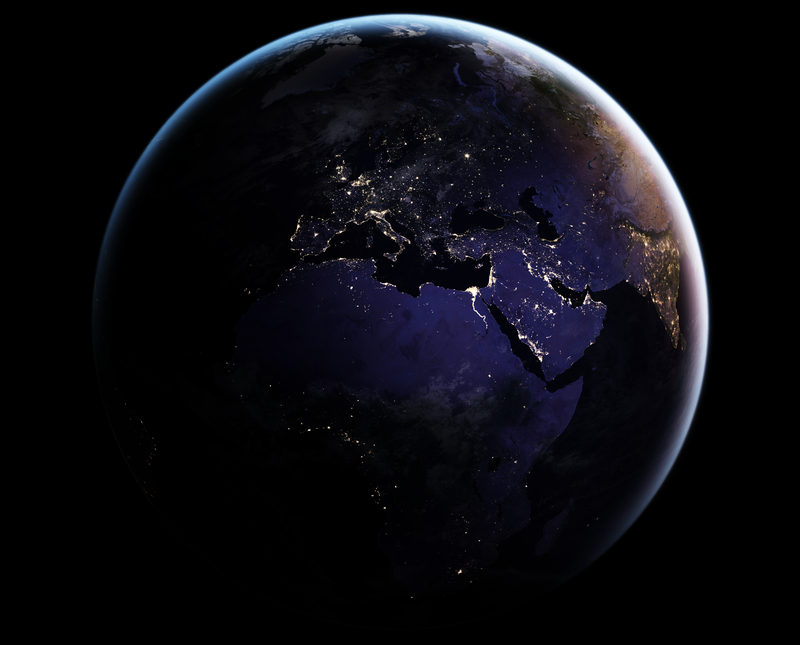 Satellite images of Earth at night have been a curiosity for the public and a tool of fundamental research for at least 25 years. They have provided a broad, beautiful picture, showing how humans have shaped the planet and lit up the darkness. Román, M.O. et al. (2018) NASA’s Black Marble nighttime lights product suite. Remote Sensing of Environment. 210, 113–143.